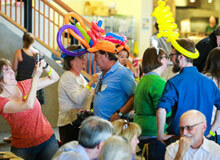 Enthusiastic Banana Slugs converged on campus during Alumni Weekend. Photo by Terry Way. See photos from the weekend!